If you are having difficulty paying your bills because you’ve lost your job, you’re seriously ill, or for some other unexpected reason, it is best to consider your options before the bank notifies you that it intends to foreclose on your home, real estate or business. Sometimes, you will be able to work out a restructuring or modification of your loan without having to file bankruptcy. However, that is not always the case. Sometimes, individuals and businesses need to file for bankruptcy protection in order to reorganize their finances or business operations. Once a bankruptcy case has been filed, an automatic stay is imposed by the Bankruptcy Court, which prohibits the creditors from pursuing the debtor to collect debts. Most individuals and businesses that seek bankruptcy protection do so under one of three chapters, 7, 11, or 13. Will individuals struggling to pay their debts get any help from Congress? Congress is in the process of negotiating a law to help homeowners essentially rewrite their mortgage with the help of bankruptcy judges. While some in the industry believed that the bill would move quickly through Congress, there has been strong resistance from lenders. Consequently, the bill is in constant deliberation. If this bill does pass, it will most likely be limited to use in Chapter 13 cases by homeowners who tried to work out their mortgage with the lender prior to filing for bankruptcy protection. It seems clear that while Congress wants to help slow down the rate of foreclosures, it must balance that intent goal with the rights of the lenders. Will struggling small businesses get any help from Congress? The stimulus bill signed by President Obama includes assistance for small business owners. 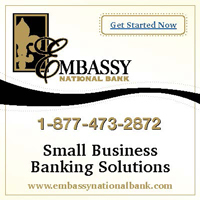 It authorizes $730 million to the Small Business Administration (SBA), of which $375 million will be used to reduce or eliminate temporarily the SBA fees for participation in SBA loan-guarantee programs; and $255 million for a new loan program to help small businesses meet existing loan payments. For more information, visit the SBA website at www.sba.gov/recovery/index.html. Chapter 7. A chapter 7 case is basically a liquidation of an individual or a business debtor's assets in order to pay its creditors and discharge most of their debts, thereby allowing the debtor a "fresh start." There are exceptions to discharge such as taxes, domestic support obligations, and certain educational loans, among others. In individual cases, the debtor is able to keep specific property that is exempt from the creditor's reach such as limited interests in real estate, motor vehicles, and particular personal property. Chapter 11. A Chapter 11 case is generally used by businesses that need time to reorganize their business practices. In a Chapter 11 case, the debtor has the opportunity to propose a plan to pay pre-petition creditors as well as certain post-petition creditors. Once the plan is confirmed by the court, the debtor is discharged from debts that arose prior to confirmation. However, there are exceptions to discharge such as taxes, domestic support obligations, and certain educational loans, among others. The debtor will then be required to make payments under the plan until completion. Chapter 13. A Chapter 13 case is generally known as a wage earner's plan. In this type of bankruptcy case, an individual works out a plan to pay his or her debtors based on the type of claim that the creditor holds, i.e. secured or unsecured. Depending on the amount of the debtor's disposable income, as calculated under the Bankruptcy Code, a debtor's payment plan will usually extend between three and five years. After completion of the payment plan, the debtor will receive a discharge of their debts, except certain debts as noted above. Please note that these are general descriptions of the three most common bankruptcy options; however, each case is unique, and should be handled differently based upon the debtor’s situation. Please consult a bankruptcy attorney for more specific advice on your case. Gail Lynn McCarthy is Of-Counsel to the law firm of Kumar Pathak, LLC, and represents clients in Chapter 7, 11 and 13 bankruptcy cases. Nikhil (Nick) R. Prabhu is a founding member and partner in the law firm of Kumar Pathak, LLC. His law practice is focused in complex real estate transactions; residential real estate closings, corporate mergers and acquisitions; commercial loan workouts; business bankruptcies (Chapter 11); and landlord-tenant and commercial lease matters.